Paint sprayers have been evolving since the 1970s. The paint sprayers use a spray gun to generate a flawless and uniform finish in a record time as compared to the conventional brushing and rolling techniques. The two options of spray guns that you can choose from the market are suction feed and gravity feed. In this article, we put our focus on the gravity feed option as it is the best spray gun you can get on the market for standard painting applications, including DIY tasks. The gravity feed sprayers use a system that draws fluid from a cup located above the gun. The entry of the fluid into the gun is aided by gravity and this creates a positive fluid pressure and optimizes compressed air pressure. To spray finely, an air compressor is needed and also an understanding of whether your paint sprayer needs an aircompressor is surely helpful. The gravity feed sprayer works well with fluids having a greater viscosity. 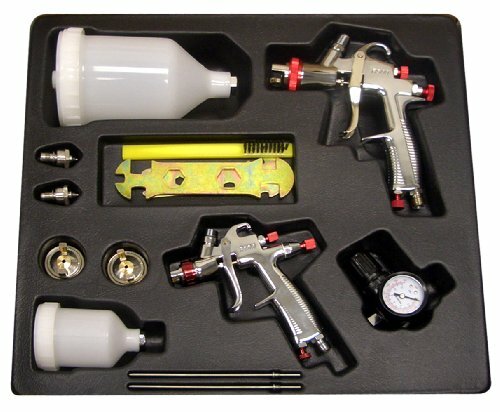 These spray guns use less pressure to minimize the health hazards associated with paint overspray. Choosing the best gravity feed sprayer is not an easy task, considering the many options that are presented by the market. You can choose to use the trial-and-error method until you get the right one, but this will cost you money and time. Instead, have a look at the best products below and then you will find a sprayer that matches your demands. It is powered by a powerful 2-stage motor that generates 1400 watt. It has filters on its turbine that can be changed easily. The capacity of its cup is 4.2 ounce and the minimum size of its hose is 5/16” and of its nozzle is 0.8 mm or 0.03”. This remarkable HVLP paint sprayer gives you professional quality results without needing you spend too much. The presence of this feature with some basic tips and techniques in paint spraying enables the machine to be efficient and prevents over spraying. The larger sized gun can be used for larger surfaces while the smaller one is ideal for smaller painting projects. The gun is very good with interior finishes because it produces a neat finish without causing a mess. This M-Model professional gravity spray gun has a fan control with adjustable pattern to avoid unnecessary bleeding. It has a set of 1.3mm Air cap installed, a gravity cup of 400cc capacity and a turbine case made of metal with a holder to be an ideal handheld painting spray that can do the job easily. 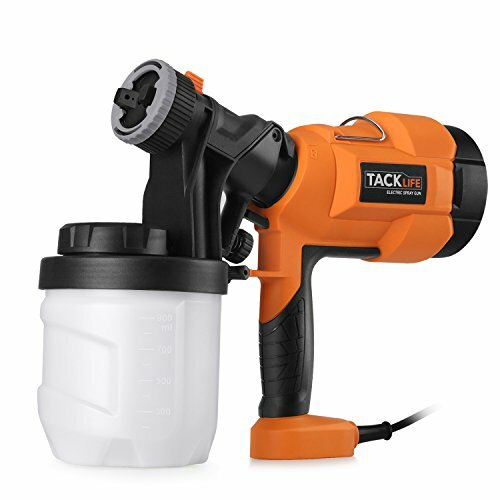 In order to reduce bounce back and overspray of the paint, this gravity spray system is provided with a 25 feet long Hi-Flex hose with an control valve, stainless steel needle and a nozzle. It is powered by a powerful 2-stage motor that generates 1400 watt. It has filters on its turbine that can be changed easily. This gravity spray system is specially designed for the hobby painters who want to experience finish like buying a professional paint sprayer without hiring professional painters. This unit is perfect both for a professional job as well as DIY tasks as it does ot require any technical expertise to operate. It is ideal to spray paint cabinets, ceiling, walls, fences, doors, pieces of furniture and shutters etc. You can easily disassemble the unit for clean and maintenance after use. 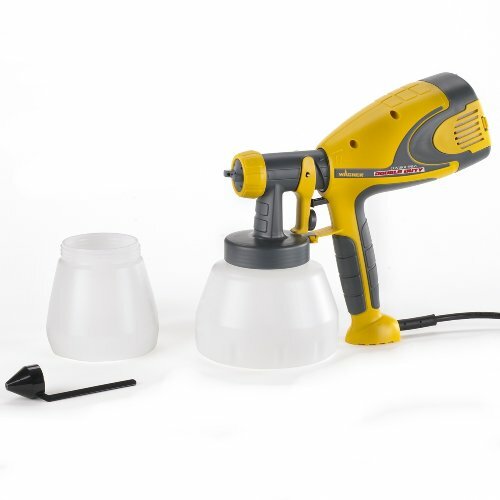 Additionally, you can invest in 0.8mm – 2.0mm air caps if you want to spray materials of different viscosity from latex to stains paints as per the need of the project. This black colored gravity spray gun ensures less paint wastage with the help of its brilliant non-drip cup. Its filter has an adjustment knob to adjust the flow of air to allow you to use it according to your painting needs and demands. It has an easy-to-use air regulator to control the flow of air and ultimately helping to save time with the paint sprayer. Moreover, it has ¼” air inlet that uses 5 cfm air on an average. The maximum pressure of air required for this spray gun is 35 PSI. The capacity of its cup is 4.2 ounce and the minimum size of its hose is 5/16” and of its nozzle is 0.8 mm or 0.03”. This 200G Spray Gun is designed specially to give professional finish using various materials that include lacquer, paint, and stain etc. 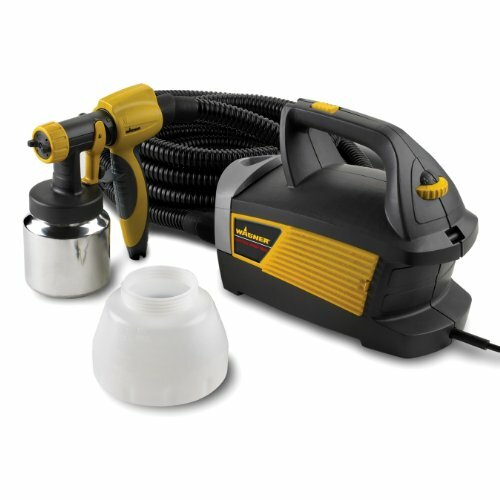 This gravity spray gun is an ideal tool for your hobby projects, car restoration, furniture restoration and other similar projects. Ingersoll Rand has specially designed the 200G gravity feed spray gun to provide top-notch spray painter at an affordable price for less than $100. Therefore, you won’t have to spend a lot of money in order to be able to experience high-quality and professional finish on your painting task. 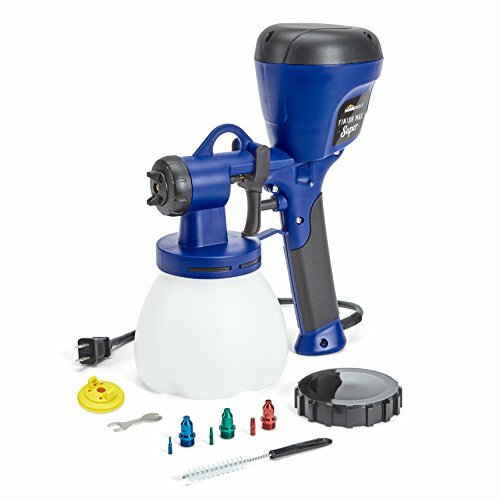 The features of this Mini-Mite 4 PLATINUM Gravity Spray Gun allow you to make professional-like finish conveniently to your painting task with the help of the pattern control knob provided on its side that you can use to adjust the size of the pattern fan from small to large as required. 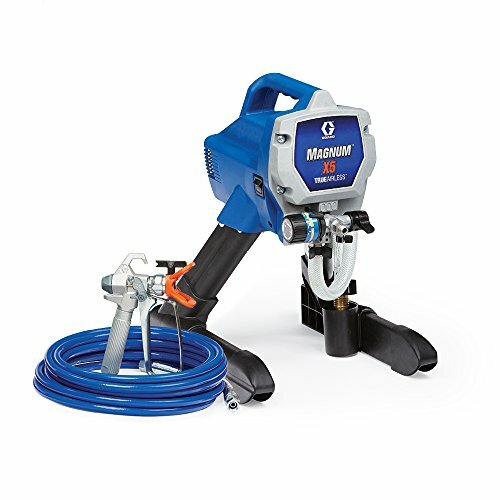 This non-bleed spray gun can be handled easily due to its ergonomic handle and light weight. It has a strong platinum turbine with 4 stage motor in a protected box that significantly reduces noise. This remarkable HVLP paint sprayer gives you professional quality results without needing you spend too much. It can be transported easily due to its portable design and the gun holder includes a heavy-duty metal case to keep it safe while not in use. 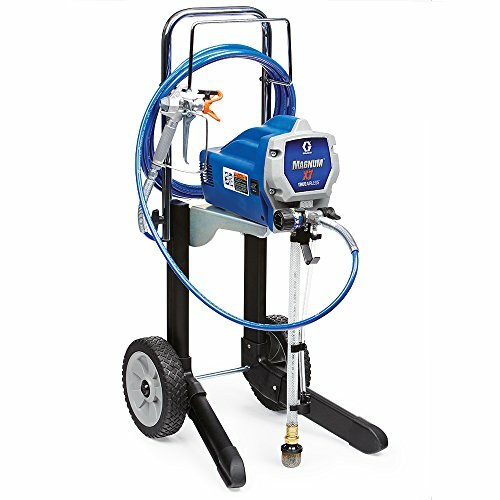 This gravity spray gun allows you to paint a thin coat of any type of painting materials including water-based paints as it provides enough pressure required for this purpose. Its nylon gravity cup can hold up to 600 cc which provides fine finish with the help of its 1.3mm air cap set. 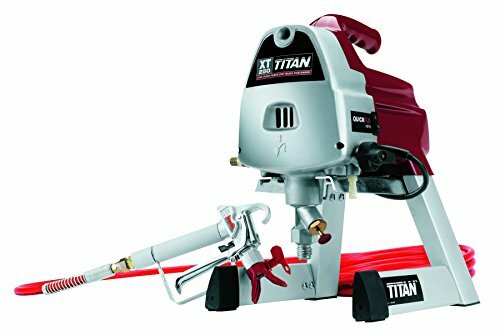 It is a perfect painting tool for the beginners starting to use paint spraying machines and professional painters as well. It can be maintained easily by cleaning it after every use with the help of the cleaning brush provided with it. Even beginners can use it easily by following the instructions provided in its user manual. The filters in its noise reduction covers can be changed easily when required. This is one of the products that have been used by many customers for their painting projects. It is light in weight and operates on the high volume and low pressure principle, referred to as HVLP. The presence of this feature with some basic tips and techniques in paint spraying enables the machine to be efficient and prevents over spraying. It has an externally fixed cap that prevents the machine from dripping paint. There are also three valves fitted on the machine where one is to control the amount of paint that is being sprayed and the other controls the size of the pattern used in painting. The last knob is used to adjust the flow of air. Current owners are extremely happy with their purchase as it is very easy to use and adjust the spraying nozzle to complete a flawless finish. However, spending a few dollar more wagner 0518050 paint sprayer also seems favorable choice which is enabled with HVLP feature too. Cleaning is also an extremely easy task and the best part is that this unit causes no mess and it is also very efficient with smooth finishes on surfaces. Here is another machine that utilizes the HVLP technology and can also be used as an automotive painting spray tool. It is fitted with a VLP spraying gun, a mini-detail gun, also HVLP, a valve used for adjusting and other accessories. This unit stands out from the rest because these extra features are not in other HVLP guns in this price range. Equipped with the HVLP technology, you can rest assure that this machine is manufactured to be efficient and designed to avoid oil spills and over sprays for quality results. The larger sized gun can be used for larger surfaces while the smaller one is ideal for smaller painting projects. Therefore, you will be able to cover a variety of painting projects using the same machine. Have in mind that this unit is not for those who are looking for a budget-friendly spray painter for less than $300. However, quality results come with a price and it goes without saying that a $20 spray painter will not have the same quality features as a $150 unit. Although this unit may be pricey, it includes everything you need to get high-quality, professional results. It is recommended for people who are very serious about their painting projects because it is more precise in painting than other sprayers. Our next pick delivers high-quality finishes on all kinds of surfaces. The central pneumatic 47016 is fitted with adjustable fans to control the pattern of spraying. This helps in bringing out superior quality finishes on surfaces. Additionally, this unit is one of the few that can be used to spray on a wide range of paints like enamel and even metallic on different surfaces. It is also very efficient with painting projects done for fun. Here we have a paint sprayer for those who are on a tight budget. 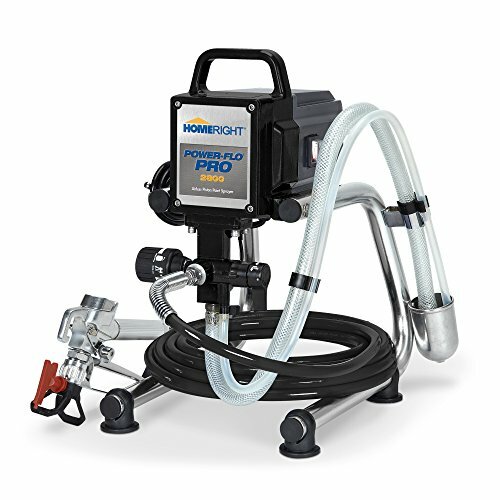 But if you are willing to spend extra dollars for a promising company’s HomeRight paint sprayers it would be of good worth. This unit is priced below the 20-dollar mark. However, you need to take into account that it does not come with all the other accessories needed for the job. The gun is very good with interior finishes because it produces a neat finish without causing a mess. The knobs turn easily, and it is easy to control and adjust the machine to paint to your specification. 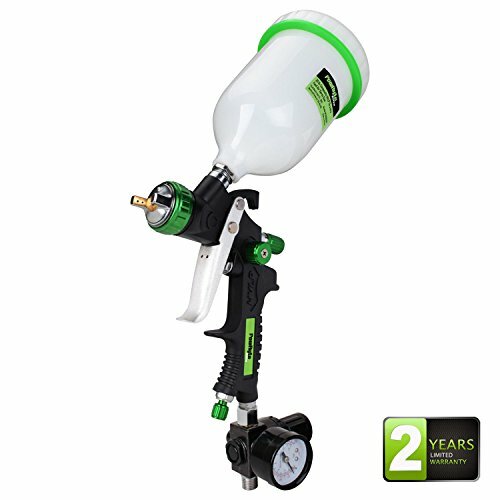 There are a number of prominent features that one has to look at before choosing the right gravity feed paint sprayer. They include mix system, design, flow adjustment trigger, and feed type. The design of a spray gun has a direct influence on the quality of your finishes. Before choosing a gravity feed sprayer, it is therefore important to choose a design that you can handle easily. A solid construction design will also be helpful in ensuring your sprayer lasts long. You can also a choose a design that has higher customization capabilities. Apart from the design, you also need to look at the type of filter your gun has. Filters play a key role in improving your paint application by preventing the mixing of fluids and dust particles. The mixing system for a gravity feed sprayer can be installed either externally or internally. If you are going to use your sprayer for detailed work, then it is important to choose the one with an internal installation. The external installation should only be chosen if you are dealing with smaller areas that don’t need too much effort. Each gravity feed sprayer comes with a specific cup. It is important to compare the cup sizes before choosing your sprayer. A bigger cup may have a larger holding capacity but may limit your movements and increase the level of fatigue during use. It is therefore important to choose a cup that is not too big and not too small to ensure sufficient but efficient fluid supply. One feature that you have to consider is the gun trigger. There are single and dual action triggers. The dual action trigger gives you a manual option for paint auctioning while the single action trigger has an automatic way of doing it. Choosing a single action trigger will, therefore, make your work easier and simpler. There is also the feature of the adjustable flow that needs to be considered. A gravity feed unit that has fluid adjustment capabilities is a much better choice as it gives you the options to paint slowly and achieve a high-quality perfect finish. A feed system that includes the HVLP technology is good for getting detailed finishes. The location of the spray gun controls is also an important feature to consider. Some units have the controls located at the rear end while other units have them located at the front. It is good to choose a unit that has front controls especially if you are a right-handed user. The rear placement works well for all users. Filtering is an important feature of a gravity feed sprayer. Adequate filtering will enable the creation of smooth finishes. You also need to consider the operating PSI for the given spray gun. Any value above 10 PSI will require adequate compression in order to meet your pressure needs. Just like other paint sprayers, you will have to look at other features like portability, flexibility, power, and cleanup. A portable sprayer will make it easier to maneuver while working. You also need to consider the flexibility which your sprayer dispenses paint material. Paint sprayers can be messy, especially if they are hard to clean. It is therefore important to choose one that can be cleaned easily. The are many brands of gravity feed sprayers on the market. Each of this brand has its own price tag and it is, therefore, important to choose one that fits within your budget limits. The price aspect is one of the key features that will dictate the type of sprayer to buy. The main thing to consider here is a balance between performance and budget. The most expensive models may not necessarily be the best performer. If you are a beginner in the painting world, then it is important to go for a lighter model with a smaller gun. Considering to buy gravity feed paint sprayer for around $700 may be nice option based on the painting task you want to do. If you don’t have issues with handling weight, then a heavy cup spray gun may work well for you. The key aspects of price are features and the release time. A newer model comes with advanced features and is likely to cost more. You, therefore, need to check the potential of the sprayer to serve you rather than its price. Gravity feed sprayers are perfect tools for handling small projects and finishing detailed work. Feed paint sprayers are very efficient because they are relatively cheap, and they produce very good results. 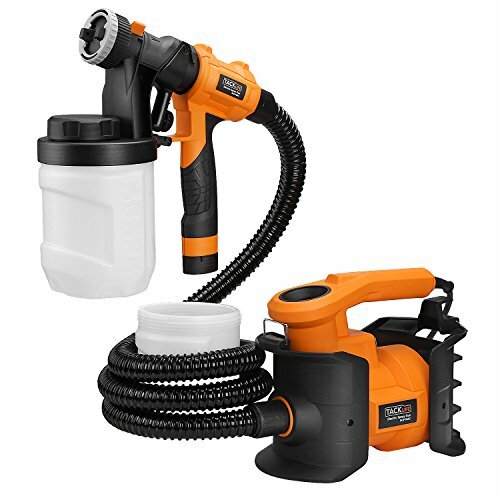 Many of the customers who have the used this kind of sprayers have been satisfied with the quality of the outcome and the amount of money they save by using these paint sprayers.These types of sprayers have more advanced features than any other conventional sprayers. Most of the gravity feed sprayers are meant for handling finishing and airbrushing tasks. For this reason, they make a perfect choice for meeting the general coverage needs and for creating lots of details in a consistent manner. Whether you are a beginner or a professional in painting, a gravity gun will be helpful in meeting your requirements. We have explored some of the features that will help you get the best gravity feed sprayer. From the design to mixing systems, feed type to trigger, and filters to controls, it is important to get a unit that is beneficial to you. Such a unit will enable you to get the real fun of using a gravity feed sprayer.